Taylor, Kim. Chinese medicine in early communist China, 1945-63: a medicine of revolution. London: RoutledgeCurzon, 2005. Print. ‘Chinese Medicine in Early Communist China’ is a monograph of Traditional Chinese Medicine (TCM). The word ‘traditional’ in TCM misleads. For it suggests that the tenets of Chinese medicine (particularly, acupuncture) have remained essentially unchanged throughout the millennia. However, this unchanging nature is an ostensible characteristic. Taylor’s book explains how ‘Traditional Chinese Medicine’ is—more succinctly—a political term, coined by the Communist party in the years after it seized government control in 1949. Beyond its monographical role, ‘Chinese Medicine in Early Communist China’ also serves up an intriguing story about Chinese politics and culture. It fills in gaps in the understanding of the history of changes within Chinese medicine that were spurred by sociopolitical upheaval. 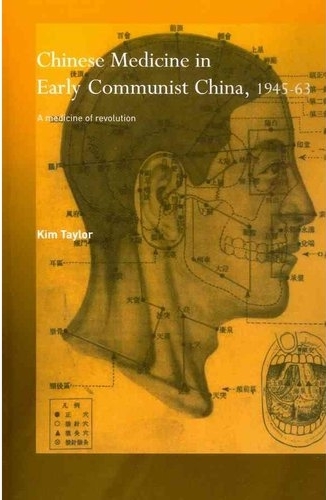 According to Taylor, new scientific theories of acupuncture published by the Communist institution during the mid-20th century were primarily based on political correctness, thus subordinating therapeutic effects to Party criteria. Taylor explains how the impetus for the modernization of Chinese medicine was borne from the loss of China’s prestige at the hands of Western science. She supports this premise by first laying out the time line of battle losses to Westernized military campaigns, namely the Sino-Japanese War (1894-5) and the Boxer Rebellion (1900-1). (Though Taylor doesn’t mention it, China also lost the fight with France over Vietnam in 1884.) Subsequent to these losses was a political sentiment that the old ways were embarrassingly inferior. And this is where the story takes off. In addition to the martial influence on medical reform, Taylor also addresses the impact of the end of Chinese imperialism in 1911. After 1911 but prior to Communist rule, there was the Nationalist government that supported modernization in an effort to eradicate all hints of feudalistic ideology and superstition. Because classical Chinese medicine theories were metaphorical in nature, the Nationalist party also condemned it as ideological and superstitious. Taylor shores up her view on China’s modernizing effort by pointing to the Western support for the Nationalist Party. For example, China’s Ministry of Health—a product of the Nationalist government—was supported by the Geneva-based League of Nations, and Western philanthropy that included financial backing by the Rockefeller Foundation. Because they were in contention with the Nationalists, the Communists used Chinese medicine not only to support their efforts during the Civil War but also to contradict the Nationalist’s Westernized platform. Taylor explains how the Communist movement orchestrated by Mao Zedong capitalized on the contrast between Chinese medicine and Western culture to further the Party agenda, while still maintaining the effort to modernize medicine. 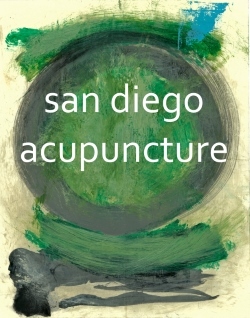 Taylor’s book traces the development of the ‘new acupuncture’ guided by Mao Zedong’s initiative for ‘new,’ ‘science’ and ‘unity.’ It offers a descriptive history of 20th century Chinese medicine based on Chinese government documents, interviews, and non Communist-sanctioned reports. It is a valuable resource for understanding the meaning of Traditional Chinese Medicine in the context of culture. And it is pertinent to understanding not only acupuncture as it is practiced in China today, but also its ongoing development in the United States. For not only did we inherit a politically-altered medicine, but the current U.S. development of Chinese medicine mirrors that of post-imperial China as described in Taylor’s work. I studied at PCOM for a few months nearly 10 years ago. Anyway, thanks for the very interesting and critical view (I realize you posted this 4 years ago). Thanks for the references, Marianna. I think epistemology is a vital piece of medicine (and everything else)… Why do we do what we do in treatments–in terms of traditional medicine–aside from pedigree? And what scientific interpretations do we use to claim “evidence-based medicine”?